Is it a problem if our written annual performance reviews are late? It can be a problem. Companies expect employees to abide by the policies and procedures of the human resources department. Therefore, it is best if companies also abide by the same policies and procedures. If a review policy states that reviews are given on the yearly anniversary of the hire date, it is best practice to observe the policy requirements. Performance reviews provide an opportunity to have conversations with employees that managers may not otherwise make time to do. A well-written performance review that is discussed with the employee serves many purposes and can help turn a mediocre employee into a valued contributor. On the other hand, a written performance review that is discussed with an underperforming employee can serve as documentation that performance concerns were clarified before the employer took some adverse employment action. Either way, dedicating the time and energy to a performance review process is time well spent. If a performance management policy sets a time frame for delivering annual performance reviews, failure to comply with the policy can cause problems later if an employee is disciplined or terminated and does not agree with the action taken. Oftentimes, the issue that caused the employer to take action could have or would have been addressed in the review. In that case, an employee would be on notice of performance issues as well as the employer’s expectations for addressing the issues. By communicating in this way, employers can help a poorly performing employee turn the performance issues around and become a vital contributing member of the workforce. Or, if poor performance continues, a timely and accurate review helps provide a basis for taking adverse action. If an annual review is required but is delivered late or not at all, the company’s failure to follow its own policies can be used against it. Employees may claim, after termination or discipline, that performance concerns were not communicated. This failure to communicate can be used to bolster an adversarial position against the company or, at the very least, to persuade a jury that the employer was not “fair.” Also, failure to deliver timely reviews can be used to paint the manager as uncaring or inadequate in a leadership role. This too can be used against the company in a later lawsuit. Companies invest a lot of money in designing performance management systems. Oftentimes, however, managers are not well trained in the process and the money spent is wasted. 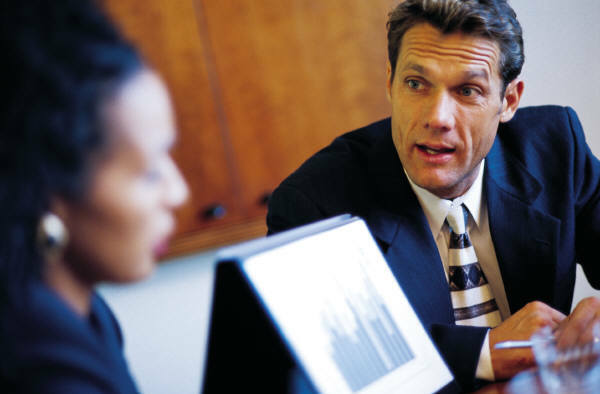 Good performance management requires that managers are educated in the written and oral communication skills that will be needed. This is particularly helpful since most people are naturally reluctant to have conversations that will be uncomfortable or confrontational. If trained, a manager is better prepared to look out for the employer’s and employee’s interests. And mastering the review process is one of the indicators of a manager’s competence. It is a benefit to the employer and the employee to deliver timely reviews. The review can serve as documentation of good and bad performance. And if the relationship becomes adversarial later, a properly written, timely review can help show that the employer was communicating with the employee about performance issues. On the other hand, if an employee listens to constructive feedback and changes his or her performance accordingly, an employer will benefit from having longer-term relationships with good employees. As a result, timely reviews are a win-win for both the employee and the employer. Work with human resources to become effective in the review process and you should be pleasantly surprised at the results.